It's coming, everybody. 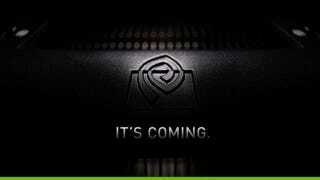 Nvidia's GeForce Facebook page updated this morning to ensure fans of the video card line knew that. And now you know. Don't thank me. Nvidia was understandably tight-lipped about what exactly they are teasing; one wouldn't want a high-quality image like this going to waste. Speculation is leaning towards the dual-GPU GTX 690, but as my TechSpot friends pointed out to me, Nvidia still hasn't released its mid-range cards, and is still working on GTX 680 availability. So let's speculate wildly. I'm guessing it's a space station.